The most technologically advanced casino in the Northwoods! Conveniently located one minute north of HWY 29 on US HWY 45 in Wittenberg. Ho-Chunk gaming Wittenberg offers more than 500 slot games and 130 progressive jackpots, with denominations ranging from 1¢ to $5. 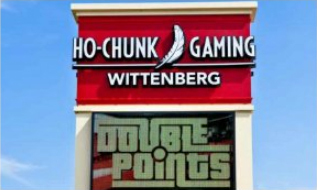 Ho-Chunk Gaming Wittenberg is open 8am to 4am seven days a week, offering all of the latest games.